Jávea Holidays – What To Do In July ? The temperature is HOT! The beaches are filling up and the sea is easily warm enough for a swim. There is plenty of good reason to take your family on a holiday to Jávea to enjoy the beaches, have some ice cream and tapas at the local Spanish restaurants to cool down and spend the warm summer evenings enjoying the Mediterranean from one of the Javea beach bar, chiringuitos. 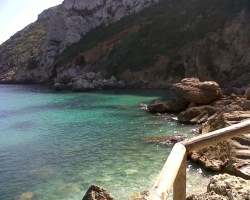 A summer holiday on the beach in Javea is bliss. The beaches have the Blue Flag, they are family friendly and equipped with plenty of extras to keep the kids happy and entertained. However, if you want additional activities for your kids, theres plenty of options to give them an active vacation with the opportunity to meet new friends of their own age, have fun and learn new skills in the process. A kids summer football school is running all through July and August. The sailing clubs have special courses for kids. Lancora tennis offers social events and tennis coaching for the youngsters. Those with a creative mind can attend fun summer camps with painting, drama and film classes. See our recommendations for special summer activities for kids in Jávea with detailed descriptions and contact info for the events and summer camps for kids. 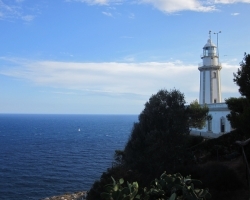 In 1612 Jávea was officially made a “villa” and as such recognized as a Spanish town. July kicks off with celebrations of the 400 Years anniversary in Javea old town by the San Bartolome church. The celebrations are an obvious opportunity to leave the beach and head up to the main church square in old town. Enjoy celebrations, concerts and explore the traditional Spanish village atmosphere in the spiderweb of narrow streets full of tapas bars and excellent little restaurants. The Xabia historic center can be further explored on the 5th of July for the Night Of Shopping when all the charming little specialist stores, fashion shops and bodegas stay open past midnight – the Old Town will be full of activities and buzz all evening. Head up there, do some shopping, have a nice meal and enjoy the vibe! 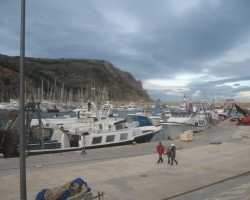 One of the biggest events on the fiesta calendar in Javea is the celebration of Moors and Christians on the Port, Duanes al Mar. 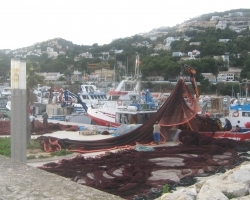 The 2012 Moros y Cristianos in Xabia starts on July 14th with a range of spectacular events on the Javea port. The main parades and enactment of the classic battles between the Christians and Moors are on July 21th and 22th, all of the fiesta takes place on the Javea Port. Back in 60´s era of flower power and eternal love there was a hippie camp on Montgo, Javea. The Montgo restaurant La Hacienda brings back the Summer Of Love with a weekly hippie market every Thursday from 7pm till late. The first La Hacienda Hippie Market is on July 12. The hippie market itself features plenty of homemade crafts, hippie clothes, artists presenting their paintings and creative creations along with stalls full of old second hand records, decorative bits and pieces and much more. The hippie market caters to the empty tummy with delicious Mediterranean cuisine and special deals for the market days on drinks and food. Theres live music on the La Hacienda stage and plenty of opportunity to enjoy the hippie love of 68´ during these weekly hippie market events! The event is set around the fantastic restaurant, café and night club areas of La Hacienda on Montgo, Javea/Denia. Drive up to Montgo, turn towards Cabo de San Antonio (the Lighthouse) and you wont be able to miss the Hippie Market and La Hacienda on the way. Want to work on your fitness during your beach vacation in Jávea? Youre in luck of course as there are plenty of zumba, pilates, flamenco and salsa activities to participate in at places like Lancora Tennis, Chirinquito Moskito and Jaspas Bar. Basically, you wont find a day without the opportunity to join in some form of fitness activity to work off those extra kilos from the mad paella munching – just check the local bars and venues mentioned for dates and times. The Javea area is blessed with beaches and a nature that just begs to be explored, but during the hot summer months you might also fancy some nice relaxing music performed live. 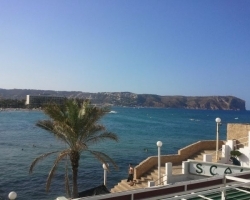 The beach bar Mintt and restaurant Mira on the Arenal Beach of Javea both have jazz concerts promising pleasant afternoons and evenings. The Saladar hotel right by the beach has a variety of activities and performances for everyone to attend all through the summer. Venues such as the expat favorites An Shebeen and Quo Vadis have weekly live music every weekend throughout July featuring mainly party bands and cover acts. 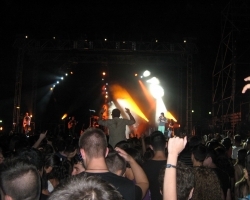 Penelope in Javea old town have a full program of primarily original Spanish acts lined up. Don´t be shy. Get out there and make the most of your summer holiday in Jávea. July is buzzing with activity on the Costa Blanca and Jávea leads the way with fiestas, live music, activities for families with kids and plenty more! Loving the Spanish lifestyle in the glorious sea side town of Jávea, Spain. For inquiries, contributions or random banter about Javea - shoot us an email at Javea@JaveaVacation.com. This entry was posted in What To Do In Spain and tagged 400 years javea, an shebeen, beach zumba, Fiesta Javea, flamenco, Jávea, live music javea, moors and christians, Moros y Cristianos, penelope javea, pilates, quo vadis, San Bartolome church, xábia, zumba, zumba moskito javea. Bookmark the permalink. Javea – What To Do in August ? For inquiries, contributions or random banter about Javea - shoot us an email at Javea@JaveaVacation.com. 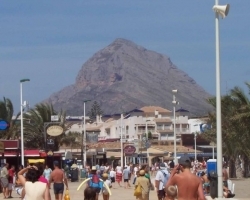 Chris Downham on Javea – What To Do in August ?